Hello Birmingham! The thought of selling a house can be daunting and overwhelming, no doubt. A lot of times though, it is needed and exciting. It very well could be the start of something new for you and your family. 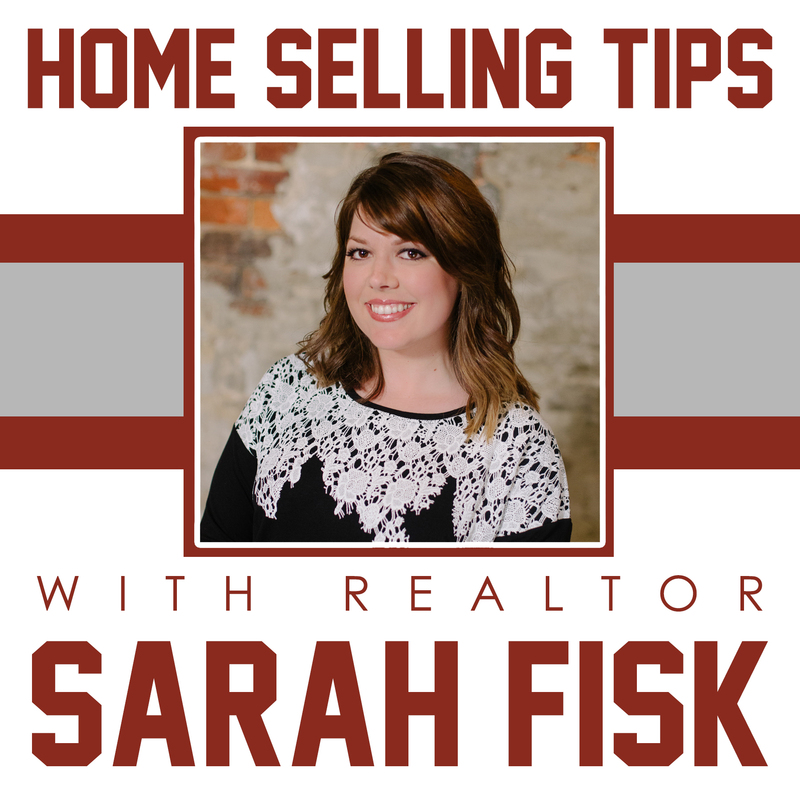 Say goodbye to the fear of not knowing where to begin when it comes to putting your home on the market, because you are about to get the scoop on selling successfully right now! Buyers open closets and have storage on the brain. Promise. If your storage situation isn’t ideal, consider making a trip to Salvation Army or having a garage sale. We all could get rid of some things if we tried. Maybe you have a storage unit you could put some things in temporarily if you need to hang on to items. If this stresses you out, pick one or two closets to tackle in a weekend….very doable. Some of you are saying “duh” right now but just re-iterating that sight and smell are so important when selling. Hire a cleaning service if you don’t have the time. A buyer’s nose is a regular nose on steroids. Clean litter boxes, take out the trash and dust. Fresh flowers, candles and air fresheners are always a nice touch but don’t overdo it and be very careful with candles. This is a biggie! Fresh paint is always a plus. Grays and neutrals are all the rage and a good idea when selling because anything looks good with them. Mauves are oh so dated and dark colors could have a tendency to make rooms look….well, dark. The lighter neutrals appeal to most and boosts that natural lighting everyone wants! Before touching up paint, get a Magic Eraser from the store. They work wonders on those black scratches. If the home is vacant, get a stager in for a consult. We can help with that. Some modern furniture and accessories can get buyers excited more quickly than a vacant place. Now if you or someone else occupies the home, ask yourself does each room have a purpose? A great exercise would be walking through and pretending you’re a buyer. Don’t let prospects ask themselves how does this space work? Make them see! Curb appeal is truly the first impression! A couple of potted plants by the door or some flowers out front will add inexpensive color and that sense of home. This comes in especially handy if the exterior coloring of the house is a little drab. You’ll want to tune into this tip and read carefully. Are there repairs you have been putting off, whether seen or unseen? In a lot of cases, you can either fix those items now, or end up having to fix after the home inspection anyway. Fix now (if you can) or go ahead and get quotes on repairs so you’ll know what you’re looking at if a buyer requests said repairs/concessions for them. Another important thing to note is that some needed repairs will be immediately noticed at the showing and could have the potential to deter a buyer and cause longer time on market. If you end up repairing later during inspection negotiations, what was the point of waiting? Just sayin’! Start by having us go over real competition with you- Trulia and Zillow aren’t always accurate. It may be smart to upgrade from those laminate counters and could potentially get you a faster and higher offer. In my opinion, the best updates are paint, flooring, kitchen (ex. granite, stainless appliances or even painting cabinets white) and baths. Generally, these updates will get you more bang for your buck and speak to buyers. When going this route, get a professional opinion and pick colors and styles that will appeal to buyers. On a budget or updating doesn’t make sense in your area? GET ON PINTEREST and HOUZZ for some tasteful ways to freshen while not spending a fortune, then talk to your agent about your ideas! If you want to put some icing on the cake, outdo mediocre sellers, and create a better experience during the actual showings, leave out some snacks and turn on the tunes! You’d be AMAZED at buyer’s reactions to some cookies next to the Keurig machine. Things like this make them feel at home which is the whole point. 🙂 Anything you can do to get them to enjoy themselves and stay a little longer will help and not hurt.